What is the best affiliate marketing training for beginners? With Solo Build It vs Wealthy Affiliate, Google and others rate WA #1 over SBI for high value, low cost, ease of use, and rates of success. Below I will provide proof as to why WA is a better option to SBI. Back in May 2017, Dr. Ken Evoy the owner of Solo Build It (SBI) falsely attacked the reputation of Wealthy Affiliate (WA), and his motives were obvious. He was defending the reputation of SBI from a few misguided WA member reviews, but he used a broad brush response and went too far. Matter of fact, much of what he claimed in his oh-so-long three part response was untrue. Ken did an elaborate study using Alexa, SimilarWeb and SEMrush to get his results. It would have been an awesome study if he had used actual data from Wealthy Affiliate. 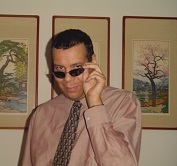 Unfortunately for Dr. Evoy the success stories of Wealthy Affiliate members and their domains, are only directly visible to members of the community. He claims that the majority of WA members experience failure, and I know that some do, but the majority? No, they do not! It is not my intention to bash Solo Build It because if I did I would be doing what Ken claims everyone at WA are doing. I will admit that there are some who will create fake reviews, but most of us do not. Personally I only review products I have direct knowledge in. Since I do not with SBI, I will let former members speak instead. I will not explain why you should join Wealthy Affiliate for Free instead of Solo Build It for $29.99 per month with a 90-day money back guarantee. I am going to show you actual data from both Alexa and Google, as well as comment content from former SBI members (like in above image), as to why WA is #1. You want proof that WA is better than SBI? In Dr. Ken Evoy’s extremely long 3-part review / study, which I needed an extra large cup of coffee just to get through it all, he says that a website is not successful if it is not getting traffic. He is correct. You do need traffic to make money, if making money is your intention. However being successful does not have to mean earning money. Success means different things to different people, even the amount of money one has earned will differ from person to person. For example… I had earned more than $3,000.00 in one month thanks to WA, but this may not be a success to others. Ken is correct that traffic is important to the overall success of a website. 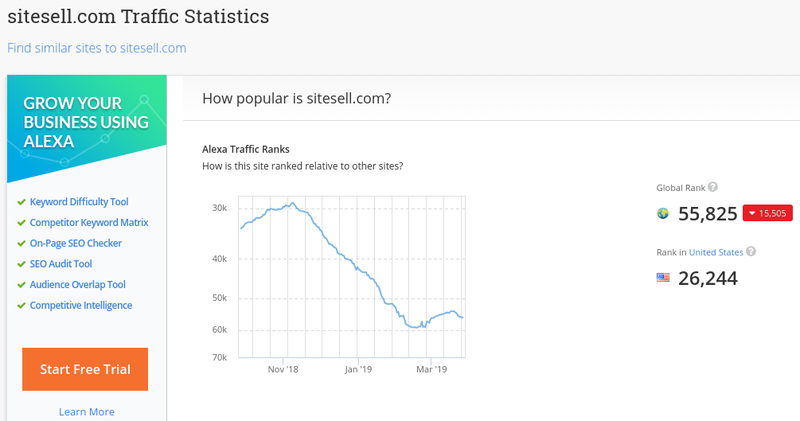 Seeing how his study uses Alexa rankings as a great indicator of such success, as of March 2019 take a look at the rankings of SiteSell, which is the domain name for the SBI brand. That is a really good ranking for SiteSell. They have a Global ranking of 55,825 (down 15,505 positions versus the previous 3 months) and a United States rank of 26,244. These are not set in stone rankings. They do fluctuate up and down with each passing day. With Alexa the closer you rank to 1, the more successful you are among all websites in the world. Google has a Global and United States rank of 1 and Amazon of 10 and 4 respectively. You can try Alexa here. Now take a look at the March 2019 rankings of Wealthy Affiliate. In comparison to SiteSell the Wealthy Affiliate Alexa rankings are impressive. Wealthy Affiliate has a Global ranking of 16,714 (down 963 positions versus the previous 3 months) and a United States rank of 8,653. Again, these numbers will fluctuate up and down everyday. Solo Build It vs Wealthy Affiliate – Which one is successful? It is obvious that SBI and many of its members are successful, and the same is true for WA and its members. The Alexa images and rankings above prove this. Dr. Evoy stresses in his study review the importance of Alexa rankings and those I have provided above (and more below) are the proof. I am a very happy and successful member of WA. The bulk of the money I make comes from three different affiliate marketing programs and freelancing my knowledge of SEO (Search Engine Optimization) content writing that I learned from the awesome WA training. 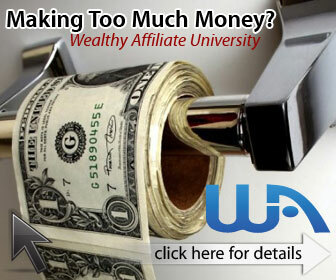 Wealthy Affiliate offers you multiple ways to make money. Unlike what Ken did in his study review, I am not going to falsely claim that SBI coaches its members to write fake reviews or forces its members to enter into a niche they know nothing about. I know Wealthy Affiliate does NOT do this, despite what is claimed. What I have learned about Solo Build It I have gleaned from the reviews and blogs of current WA members who used to be members of SBI. There are many former SBI members who switched over, just as I am sure there are some former WA members that went to SBI. Both successful training platforms have similar characteristics with many of its members experiencing success. But from what I could gather from former SBI members, WA is more user friendly, the training is up to date, a more helpful community, and much easier for the newbie online solopreneur. The owner of SBI says over and over again that proof of success can be measured through the Alexa rankings. I have shown you above the proof through those same rankings that Wealthy Affiliate is more successful. But how can Google provide proof to which brand is better? One of the many free Google tools an online marketer can use is Google Trends. This will give you timely results into which brand is better than another competing product. Below is a Live look at the comparison between Wealthy Affiliate, Solo Build It and Affilorama. What you are seeing above is the Worldwide popularity of three successful affiliate marketing training programs. This is not a static screen shot. This is a Live Update embedded into this page from Google Trends. Look at it in another month and it will look slightly different. As you can see in the above comparison graph. Wealthy Affiliate absolutely dwarfs the other two platforms. When WA claims to be the best, these are not empty claims. Both Alexa rankings and Google Trends are proof of the success and popularity of WA. Still not convinced? I will provide you with more proof that Wealthy Affiliate is rated above SiteSell. In addition to Alexa, results from SimilarWeb were also used in the negative review against WA. Below is a screenshot from a comparison rank search I did in March 2019 (do not know why search results say February 2019). The rankings in SimilarWeb are very much like Alexa. 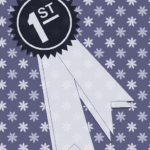 The closer to #1 your rank is, the more successful you are. As you can see the Wealthy Affiliate website has a much better ranking in all three categories than the Site Sell website (the domain name for SBI). In the negative review that Ken Evoy did in response to reviews claiming WA is better than SBI, he constantly repeats the need for “Verifiable” proof. I totally agree with him on this. In fact I wish the WA website would do what his SBI website does. On his website he includes the domain names of those success stories that are chosen to be showcased to provide proof of success. I did exactly what he suggests and I did an Alexa search of the domains posted in the Real Life Success Lessons blog. 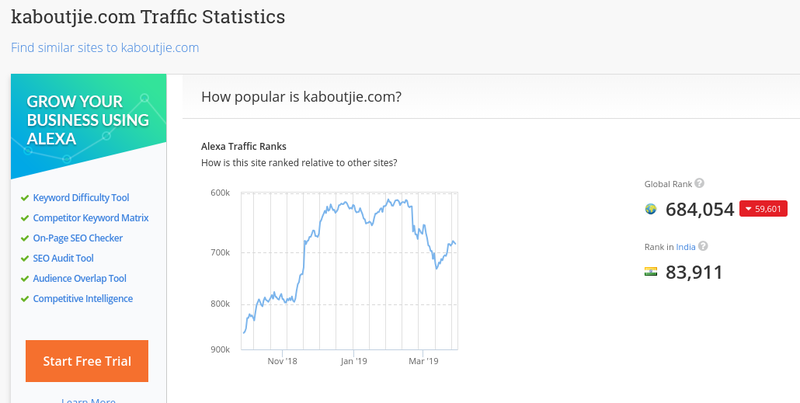 As the above image from the SBI website describes, having an Alexa rank within the top 1,000,000 is considered “elite-level, high-traffic sites.” Of the last 16 real life success blogs from March 21, 2018 to March 14, 2019, about 50% fall into this “elite-level”. 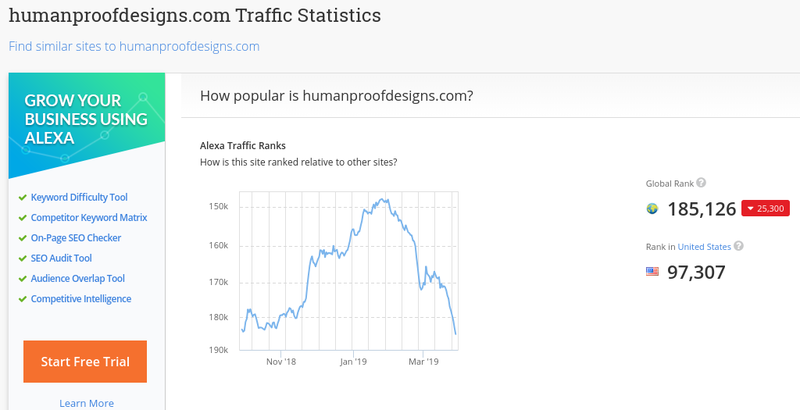 Of the 16 blogs with domain names that I checked in Alexa, nine of the 16 did reach this “high-traffic” level and seven of the 16 were well over a rank of 1,000,000. Does this mean that those seven websites are not successful? Absolutely Not! As stated in the above image from the SBI website, rankings that are greater than 30,000,000 are failures because they have “undetectable traffic levels.” Well that’s a relief because this website of mine is in the 7,300,000 range on Alexa and I make money with it, see below. How about some monetary proof? All of this talk that Ken does about proof of success is solely relying on traffic to a website. He does not provide any proof of monetary gain. 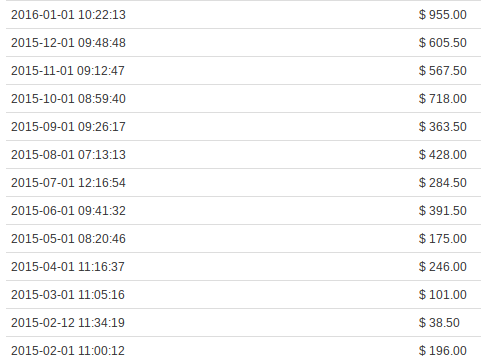 The below image is my first 12 months of affiliate earnings from one program. It is assumed that if you are getting high traffic to your website you are making a lot of money. For the most part this is true, you do need traffic to make money, but not all traffic will convert into sales. Most people look at success in terms of money earned and not traffic. They want to read and see the amount of money a person is earning. Nowhere does the SBI website show earnings. Maybe it does somewhere but after spending a couple of hours sifting through the extremely wordy rambling of content, I couldn’t find any. Wealthy Affiliate does not provide this monetary proof either but many of its members do. I recently wrote a blog “showing” the reader how much money I have invested in WA since August 2013. I also show how much money I earned in 2015 alone from the WA affiliate program. In my first 12 months I earned $3,169.00 MORE than I invested in over 63 months. See And Read About My Monetary Success Here! I can fully understand why people do not want to show how much they make because that is a private subject. But sometimes newbie members to an online training platform that preaches success for its members, need to see some kind of income for proof of legitimacy. That is why I created the blog at the link above. This is monetary proof that not only the training but the entire learning and online business building experience at Wealthy Affiliate works! There is no high-rate of failure here as claimed by Dr. Evoy. He also goes on to claim that “SBI Sites are 10 times (10X) more likely to achieve Medium levels of traffic than Wealthy Affiliate.” Logically think about his claims. Dozens of times he states that WA does not provide domains. So how can he make any comparisons? I realize that Ken says SBI pulled websites from whois.domaintools which provides all sites hosted under the name server for WA. But the majority of WA members have multiple websites, some being used for test purposes and others that are in the process of being built, Neither of these would show any traffic metrics. Unless SBI was able to determine which of the websites they gathered were actual active niche related websites, and only used those specific domains, then the results of the study are flawed and incorrect. Where is SBI’s proof that the domains used were legit marketing websites? The numbers in his results are not truthful because he clearly says that WA offers no domains as proof of success. If he has no website domains to do an accurate study, then how is his data correct? It is not. The above and below images are of successful WA member websites. I will admit that it is difficult to find every WA member’s websites on the platform because many of us do not share our links. This is for a couple of reasons. To prevent others from copying our content ideas and to not self-promote which contributes to the No-Spam environment of WA. With all of this visual PROOF I have shared with you, there can be no doubt that when it comes to Solo Build It vs Wealthy Affiliate, WA is far more successful than Dr Ken Evoy claims. The same tracking websites he says he used have shown more success for WA. 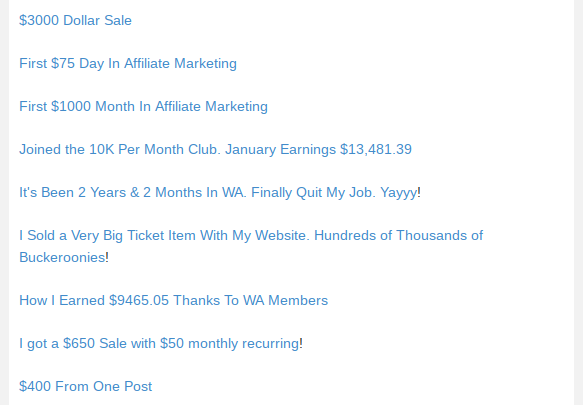 If you are still not sure after all of this proof from Alexa, Google Trends and SimilarWeb, become a FREE Member of WA Today and read ALL of the collected Success Stories by one of our WA members on his blog post called 2018 – Another Year of Success Growth at Wealthy Affiliate. When this erroneous comparison study between SBI and WA came out in May of 2017, many of us members didn’t bother to reply to his false claims. Why? Because most of us knew Ken was just venting and defending the reputation of SBI. You cannot blame him for that. Another reason for not replying into a war of words was so that we could take the high road. We know how great WA is in comparison to other similar platforms. This is not because WA teaches us it is, WHICH THEY DON’T, but because of the proof in the pudding. Read the Post of a WA & SBI Member. Read the Comments Too! No other platform allows you to start and take 10 full lessons, build 2 WordPress websites, learn how to find various niche ideas not related to MMO, gain access to the owners and other community members, learn the basics of Keyword Research and SEO all for FREE! In order to get access to most of these same things on Site Sell’s Solo Build It platform you would have to pay upfront. There is no Free Trial Period like there is at WA. I don’t know about you, but if it is free to kick the tires of something I am about to invest in, I am all for that! So when I recently went to blog about how Wealthy Affiliate is a good return on investment, I searched Google for the keyword “Is Wealthy Affiliate a Good Site to Make Money Online.” What appeared was a featured snippet from Quora referencing the SBI vs WA review. I felt it was time for me to share the real proof and get this out there so people who want true success are not misled into thinking that WA members are not successful. I provided the proof that is claimed doesn’t exist. Now it is your turn to make an informed decision. Which training platform do you want to join? If you are a member of SBI and are successful at making money, may you continue to be blessed in your endeavors. If you are a beginner looking to learn the proper way, a former SBI or WA member and would like to share your thoughts, questions or opinions, please leave them below. The use of human proof designs as an example is skewered as that site is by a member of WA that is not using the training method that is taught inside wealthy affiliate and I do have screenshots of Dom Well, the owner of Human proof designs say he only got successful after ditching WA method and claiming it is “basic at best” and recommending other training. Your own study is not actually comparing apples with apples in terms of success achieved by WA members and Success by SBI members. 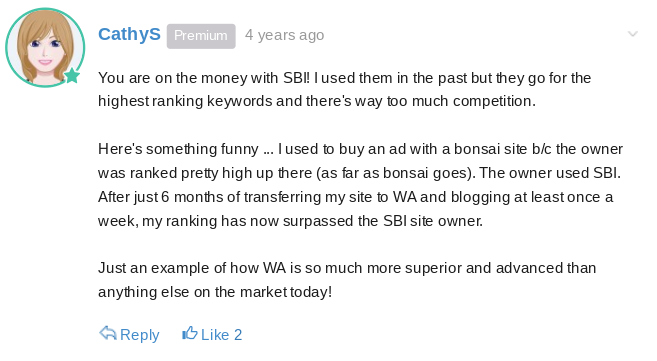 Comparing WA to SBI, which you have done is completely irrelevant and really only means that WA has more traffic and better branding and bears zero reflection on how successful members of each platform can be. I can throw up a site in 3 weeks and get inside the top 1M in alex and have a couple of hundred sessions in that period!. What a pile of tosh! Besides, even the very best of SEO tools accuracy is questionable. SEMRush is horrible at predicting traffic a site gets, same with Ahrefs. For one of my sites wildly inaccurate by a factor of 10. A reasonable good metric is Ahrefs rank. These to measure link popularity, the quality of backlinks, referring domains and subnets. I started a new site 3 month ago have literally .. and excuse my language here “eff all” traffic and I hover around the Alexa 1m mark. Very nice rebuttal Boomer, but you have failed to show which of the two sites helps the end user to achieve their goals of financial freedom better than the other. You just really compared WA to SBI and showed that WA has better marketing and “brandvertising” that SBI. which is irrelevant to the success of the end user. Thank you for your comment Derek but it was not my intention to show which site, WA or SBI, better helps its members achieve goals of financial freedom. In my opinion both training platforms have helped their members to become successful. This rebuttal is in response to Ken Evoy’s claim that if you join WA you will fail and that the majority of member websites get no traffic.I know Dom too as well as the owners of the other two websites I showcased, and I know that Dom doesn’t use the training method of WA. But he is an active WA member just like the others and myself. In fact, more than half of the money I make each month does not come directly from the WA training method, meaning affiliate marketing. Most of the money I make is from SEO content writing I do for small businesses. Dom got his start here at WA and remains an active member. There are a lot of WA members that do not follow the WA training method and like them I could not make the money I do without first starting with the WA training on keyword research and SEO. It was my intention to correct the false claims made by Ken Evoy, show that WA members can be just as successful as SBI members despite what traffic Alexa shows, show what people like about WA over SBI, and have the reader make an informed decision as to which platform to try. Thank you kindly for the Clarification Robert. I have actually read that full on 3 part article by Dr Ken Envoy, despite his best intentions of attempting to be independent he did pay for proper research to be done, and I pretty sure as long as I am paying I can buy the data and results that I seek. As they say 90% of stats can be made up, same can be said for data, it can be manipulated. I personally think that all systems and methods work (unless it is an obvious scam) and the success depends on a number of factors including the ability to apply what is learned and the “inner game” of mental attitude. One downside to WA is the info overload and can be a bit overwhelming and the 25 sites that can be hosted there has a distracting effect of members, who unlike yourself do not have a tech background get over excited with their new found skill of site building and run off and make a ton of sites without first focusing on making one truly successful. SBI on that area has the benefit of less is more (less sites hosted, less distraction). I have seen Dr Ken Envoy Brag of the included autoresponder included in SBI but I would love to see the deliverability rates as such free tools tend to use cheaper less reliable servers. I do know the free broken link checker in SBI is a simple WP plugin that comes for free anyway! You are welcome Derek. In regards to the research done by Dr. Ken Evoy, you are correct, stats and data can be manipulated. 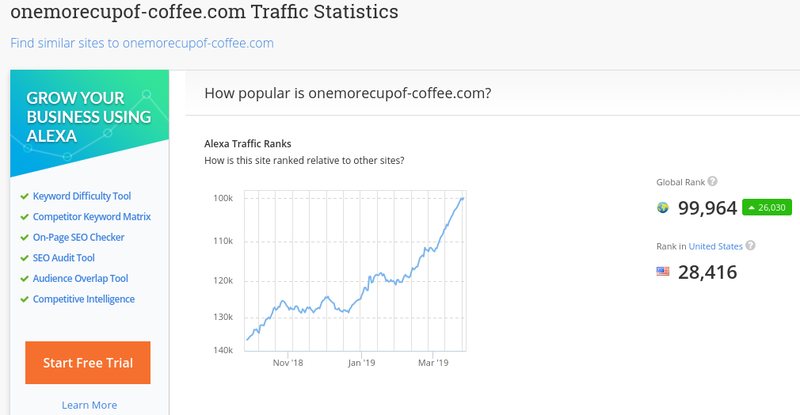 This is why in my rebuttal review, unlike Ken, I used the actual images from both Alexa and SimilarWeb, two of the tracking websites that he said he used in his research. But when he showed graphs to back up his claim they were NOT from the websites themselves. Someone else created those graphs, which means they could have been manipulated. His review was so long he had plenty of space to offer the real stats and data from the same two tracking websites like I did. I agree that both platforms, SBI and WA, do produce successful members and that success relies solely on how each person takes the knowledge they gain from the training and puts it into action. However if the training is not up to date and it is difficult to get timely help, as many ex-SBI members claim, this will have a negative impact on a member’s success. Yes, the information overload at WA can be a problem at first to newbie members. I know it was for me, even with my tech background. But after a couple of days I just focused on the core training and ignored all of the other supplemental training. It comes down to personal restraint in doing too much too soon. This helps in being disciplined to not go and build too many websites before one has fully started earning income. Kyle stresses this in the training, as I do to members when I see them asking if they should build two websites. Focus on ONLY ONE website and get it going because it will take time and effort, then start another one later if you wish. No training platform is perfect but to come out and say that people who join Wealthy Affiliate will fail more so than Solo Build It is total fabrication on Ken Evoy’s part. The REAL stats prove otherwise and his attempts at trying to paint WA in a bad light have failed, as shown by the actual stats in this post. To me, it seems like Ken just had a bias and was looking for sources to back his claim of WA rather than writing a true review of the system. You proved this with the Alexa rankings, something he completely ignored from the get-go. By refusing to use WA-based evidence it shows that Ken was going out of his way to bash WA, which for any site or business owner, the first rule of honesty and integrity is to never bash another company, especially a competitor. Ken clearly broke this rule and it won’t surprise me if he loses business from his Solo Build platform. The problem with what Ken Evoy did, other than bashing Wealthy Affiliate, is that he used website data that was not a true reflection of websites that were matured. Had he used actual WA data he would have gotten different results. Every member of WA has at least two websites hosted on the WA servers and at any given time both could be in development which would rightfully show no traffic. There is no possible way for Ken to know this. Even members of WA do not know how many domains we each have. Ken says because WA doesn’t provide domain names with success stories he had to pull the domain names from those he found being hosted on the WA name servers. Well DUH! There are tons of domains on the WA name servers showing no traffic because many are still in development. And in my case I have 12 websites hosted on the WA servers. Two are websites I did for someone else, four are my affiliate websites, two are information only sites, two are sites I started but haven’t finished, and two are for testing themes and plugins. Only 4 of my 12 hosted websites get traffic and there are thousands of other WA members with multiple domains like myself. When Ken pulled domains hosted on the WA servers, he had no clue which domains were active and this is why his conclusions are totally FAKE. This was extremely informative, and I can’t say enough about Wealthy Affiliate. I never would have known how to build a website, create interesting content, learn how to monetize what I’m doing, if it wasn’t for them. All of the training is so in depth, and broken down to a level that anyone can understand. I’ve never been a big technology person, and while somewhat computer literate, this program has allowed me to do so much in regards to starting a successful online business. I highly recommend Wealthy Affiliate to anyone who is just starting out with a dream to have their own online business! Thank you Mallory for your comment and though I am someone who has been around computers for most of my adult life, Wealthy Affiliate is a breath of fresh air. Learning how to program a website was something I wasn’t too enthusiastic about, but thanks to the free WA website builder I have built close to a dozen different websites and all for the same low monthly cost. I even make more money providing SEO content writing services to local small businesses, than I do from my websites every month. This would not have been possible without gaining this knowledge from the WA training. Like you and others who have posted comments so far, WA is a more helpful community with many achieving success in many different areas, not just on their websites. Wow, you are so undisputable! Yes, high traffic is not everything and cannot guarantee the profit. Cause if only high traffic we need, we can buy from a website traffic generator, but we cannot earn money from them. Good luck to you and well done! Thank you and you are so correct. If traffic was the only metric for determining success, then buying traffic would be the easy solution. But anyone who really knows what they are doing would agree that traffic is only a start and not all traffic will convert. There is a lot more that contributes to success and I am happy that WA provides these techniques to all of their members for no extra cost. First of all, i commend you for writing this rebuttal to SBI`s study. I wasn`t even aware that there was such a false accusation against WA. I am a WA member and very much happy and contented with where i am right now. 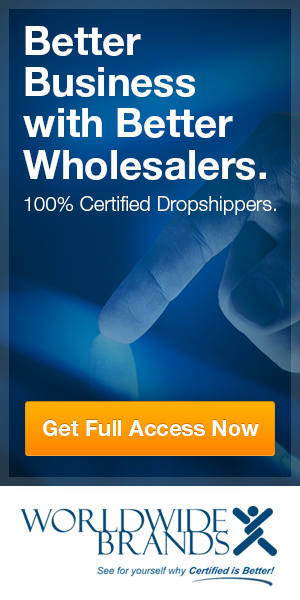 I have gained most of my affiliate marketing knowledge from WA. I did come from another platform (not SBI), but i became more comfortable with the trainings and the community we have in WA. I think one of the reason why a WA member will be successful is because WA allows each one to learn and share their ideas without being intimidated. You are welcome Hanna and you are correct when saying that WA allows its members to learn and share ideas with other members of the community without being intimidated. The community atmosphere is one of the most helpful features of WA, other than the easy to understand and up-to-date training. No matter what time of the day or night every member can get an answer to their questions within minutes. From the former members of Solo Build It who are now here at WA, I have heard them say that getting useful and timely help was a problem at SBI. Though I know from what they have said and what I have read, SBI does have some really good training. But if you cannot adapt by providing both timely help and up-to-date training techniques in things as important as SEO, it can hurt the one trying to succeed.